This mattress offers extra firm comfort. Our Innerspring – Extra Firm mattress offers time-tested support and a traditional, buoyant feel. 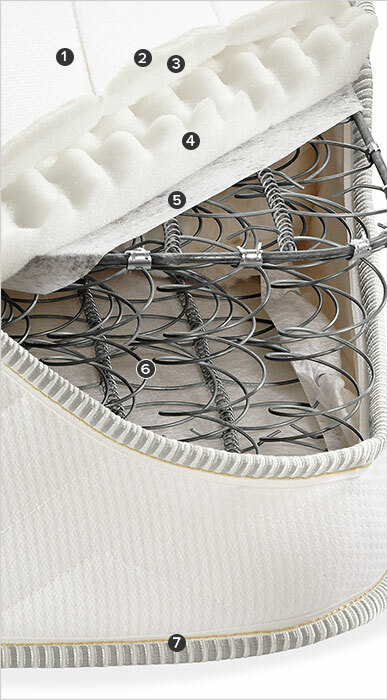 Connected innerspring coils flex with your position to provide proper orthopedic support and allow heat to dissipate to keep you pleasantly cool. Our private-label innerspring mattresses feature an organic cotton cover, low-VOC foams and no flame retardant chemicals so you can sleep comfortably and safely.